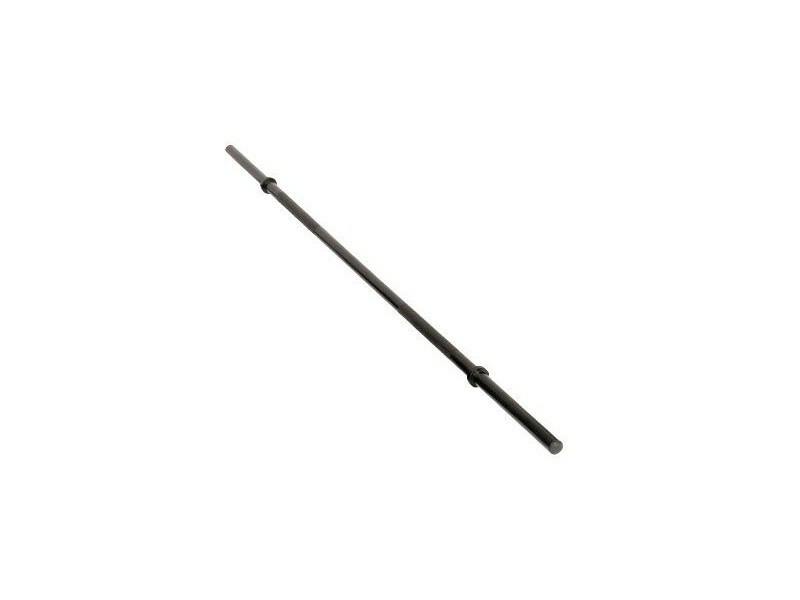 Designed for group cardio workout classes, the hollow 54" (4.5ft) bar weighs only 5 lbs. and can safely hold up to 65 lbs. 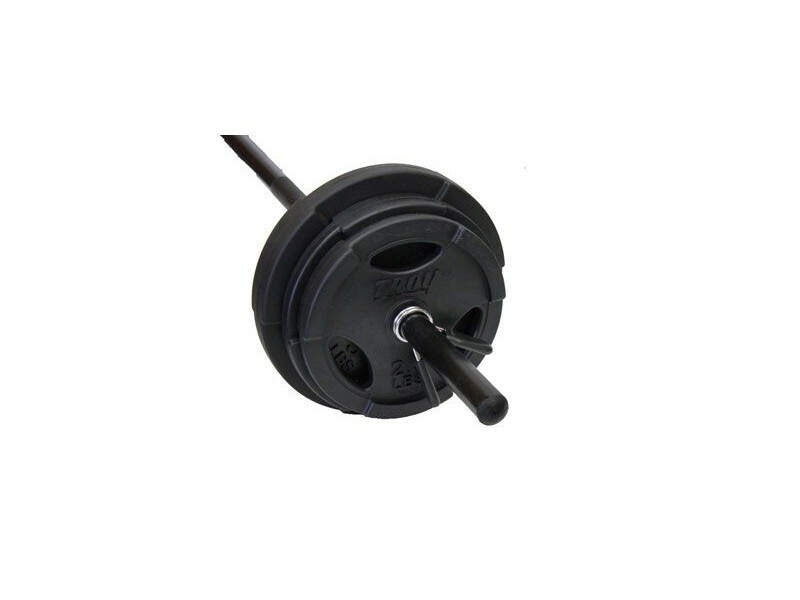 Perfect for light aerobic and training classes. This bar is one piece, not a cheap department store bar that bolts together in the middle. 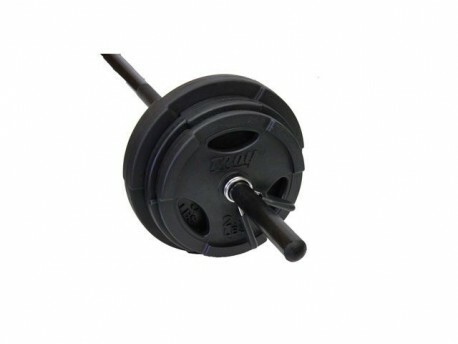 The rubber coated weight plates have grip holes to help you handle them and load the bar more easily.